Rimas is the name of the lyric work of Camões. The lyric is self-confessional and love is always the driving force for the improvement of the poet. Love is consolidated in a luminous image of a woman. Os Lusíadas are narrative and allegory, following a particular path reaches the divinity, the woman, in contrast the lyric never gets there but only reaches the final meeting of the spirit. The lyric as a discourse of the self is much more intimate and confessional regarding the epic poetry. Therefore the construction possibility is not as utopian and far as the lyric. 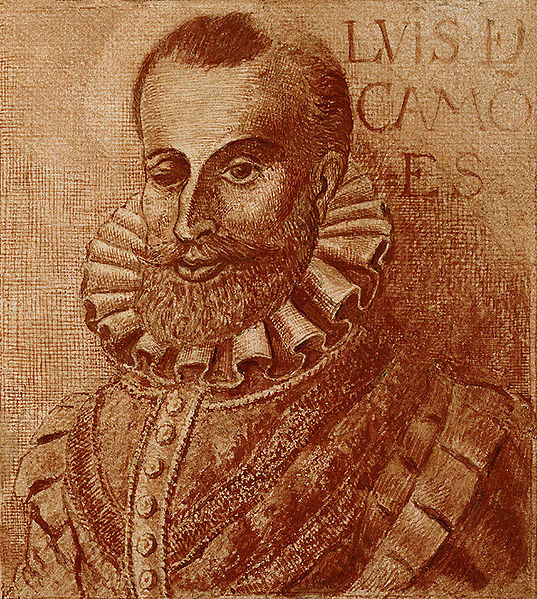 Famous epic poem by Luís de Camões, published in 1572, which, narrating the sea route to the East by Vasco da Gama, closes a summary of the homeland history. The dream of every poet of the sixteenth century was the creation of an epic poetry, imitating Homer and Virgil. Matter of national interest and even universal wasn’t missing: the Portuguese Discoveries. It was mandatory to immortalize them. The central event of the work is the discovery of sea route to India. 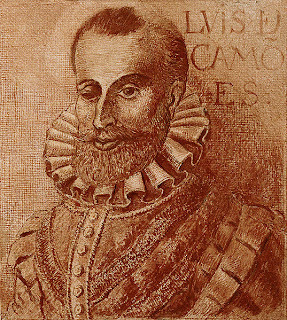 For his literary treatment, Camões invented a mythological fable where gods, like if they were humans, come into conflict due to the voyage of Vasco da Gama. It generates a real intrigue at the end of which men are mythicized. At the same time, glories of nationality are evoked, with admirable skill. For a long time the mystifying function of the pagan mythology hadn’t been understood and the poet was even criticized. Today however it is understood that it is in large part due to its presence that depends the narrative cohesion and at the same time the diversity, life and creativity present in the work. Statue built in the late romanticism. The Monument to Camões was inaugurated in June 1867. It stands out the figure of Camões, with four meters, based on an octagonal pedestal, surrounded by eight statues represented by notable figures of culture and literature: Pedro Nunes, Fernão Lopes, Azurara, Castanheda, João de Barros, Sá Menezes, Jerónimo Corte-Real and Vasco Quevedo Castello-Branco. This is a meeting place between Bairro Alto and Chiado. On the 10th June Portugal celebrates annually the Portugal Day that is also the date that commemorates the death of Camões.